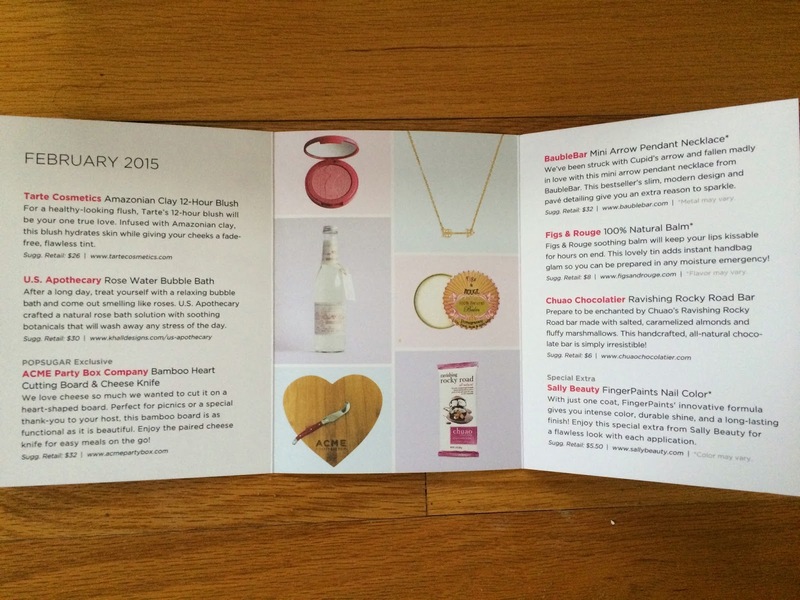 I received my February Popsugar Must Have box yesterday. It seemed very early this month, which I was really happy about. Normally by the time I've received my box, I've seen lots of reviews and know what is in it already, but this month it was early, so it was a surprise. 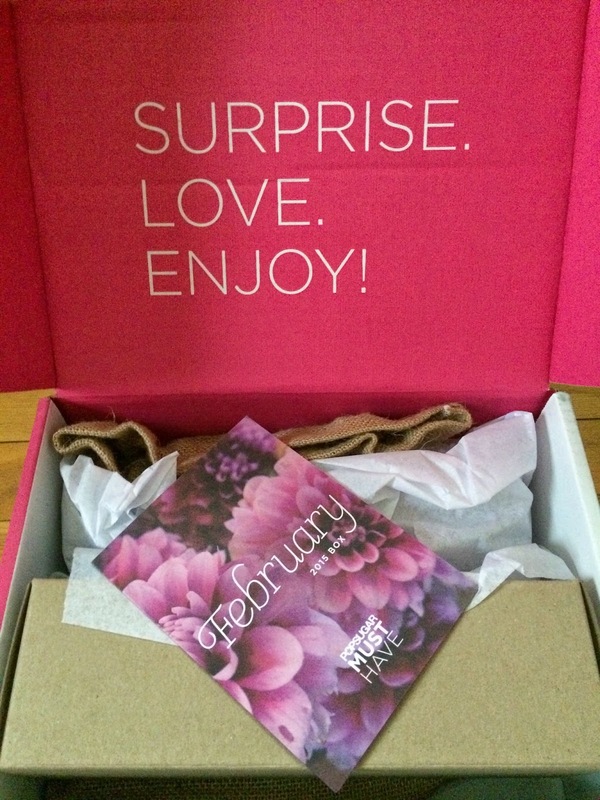 I've been so happy with the Popsugar Must Have boxes the past couple months, so I couldn't wait to see what we would get for February. The inspiration for February was one love, hearts and arrows, red hot, devine desserts, and pampering. Here is a first look. Popsugar always includes an information card explaining everything in the box. I knew immediately by the card that this was another great box. I couldn't wait to dig in. And here is a glance at everything included. 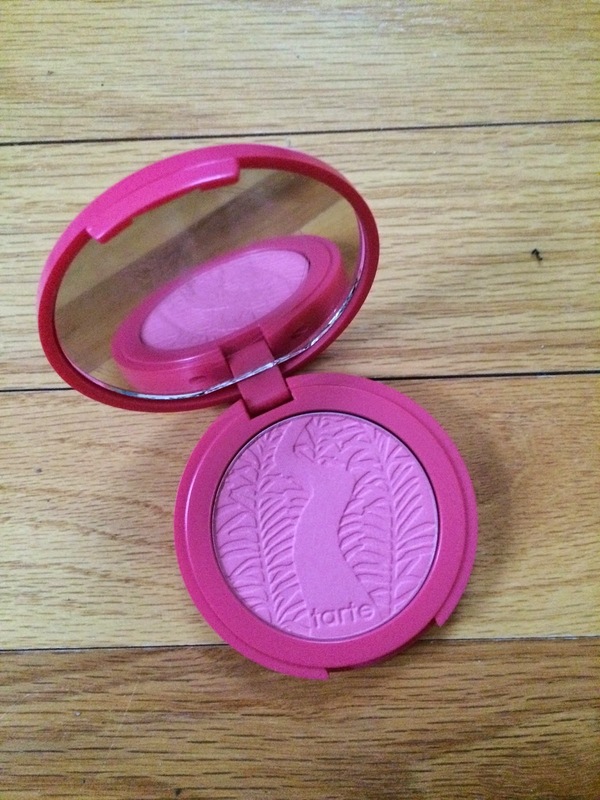 The first item included in the box was Tarte Cosmetics Amazonian Clay 12-Hour Blush in True Love. I needed new blush, so I was thrilled this was included. Plus I love the Tarte Cosmetics line. And this looks like the perfect shade for my pale skin. I'm going to start using it immediately. 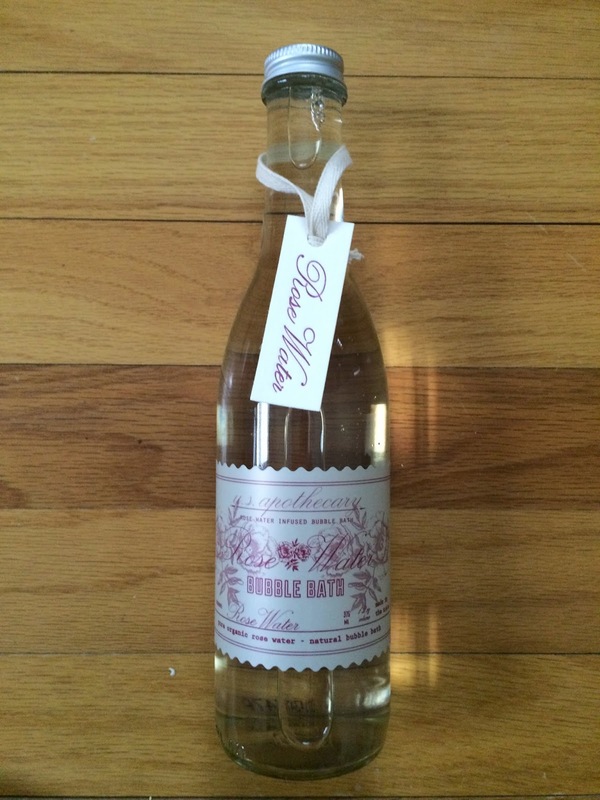 The next item was U.S. Apothecary Rose Water Bubble Bath. I love the packaging of this. It's in a glass soda bottle size container. And I love rose scented bath products, so this was definitely a hit. I can't wait to take a bubble bath with this! 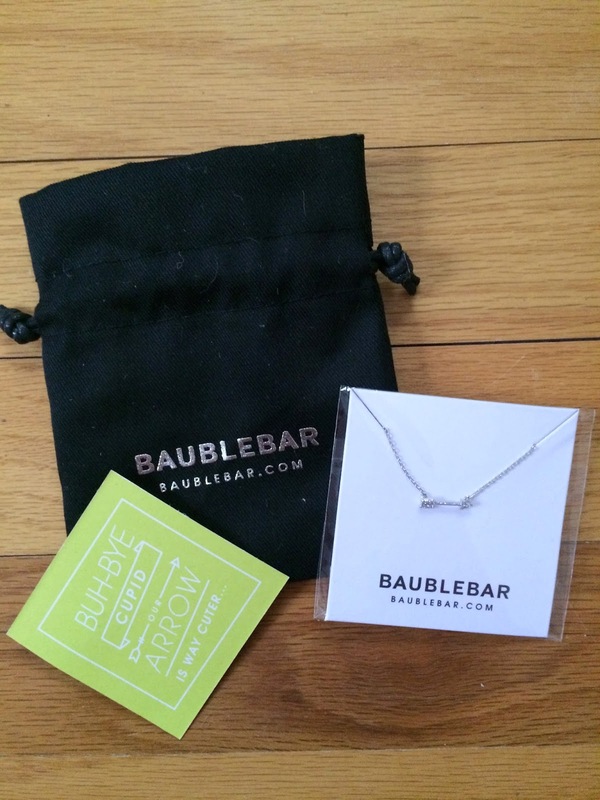 The next item was my favorite thing in this month's box and was designed exclusively for Popsugar Must Have. 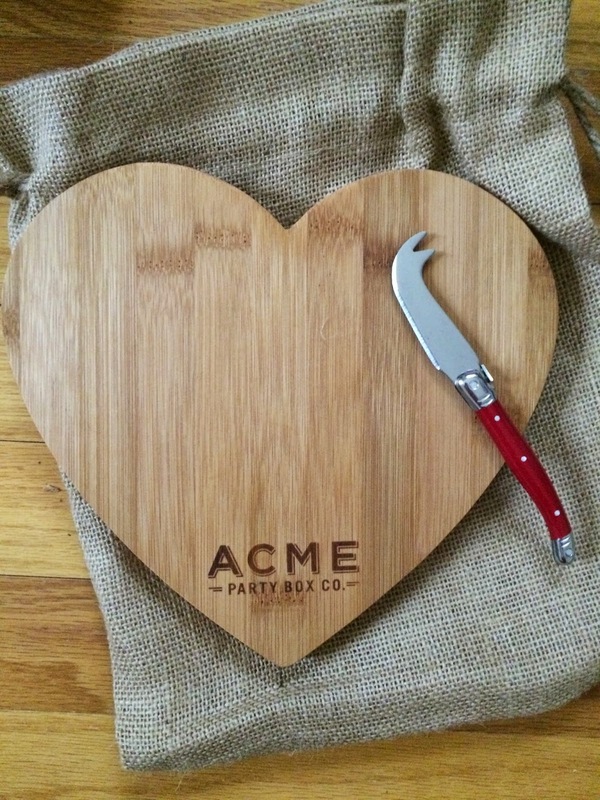 It's an ACME Party Box Company Bamboo Heart Cutting Board & Cheese Knife. We are remodeling our kitchen and I really want to have a cheese and wine party when it is finished, so this will be perfect! I love that Popsugar includes items I wouldn't normally think of. Plus the red cheese knife is cute! And it came in an adorable burlap storage bag. This would be adorable for Valentine's Day entertaining! 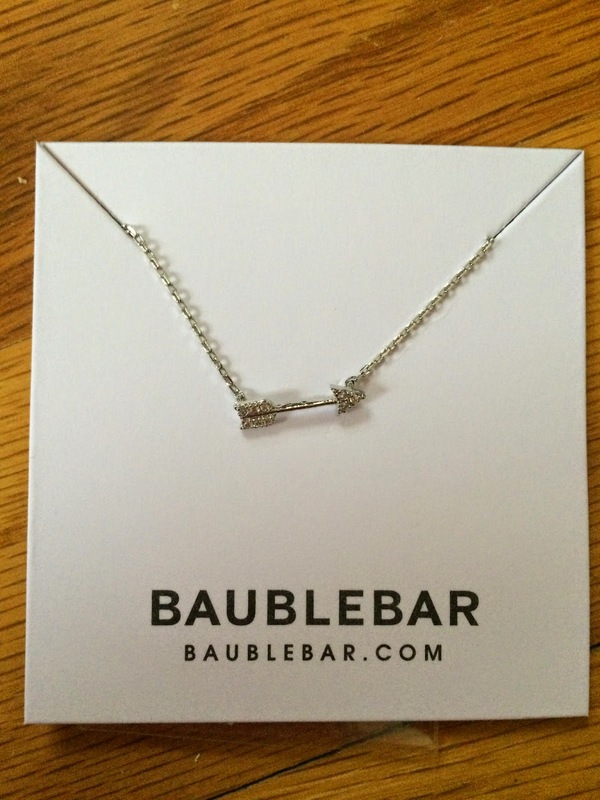 I also received a Bauble Bar Mini Arrow Pendant Necklace in silver. Some people may receive different metals according to the information card. In my profile I put silver as my preference, so I was very happy to get silver. It seems like normally everyone receives the same metal, and it's generally gold, so to see a silver item really excited me. This is perfectly my style also! I love dainty jewelry and this has some sparkle with the pave crystals. This is definitely going to be something I wear daily. Plus it's perfect for Valentine's Day, so I was happy I received my box early this month! 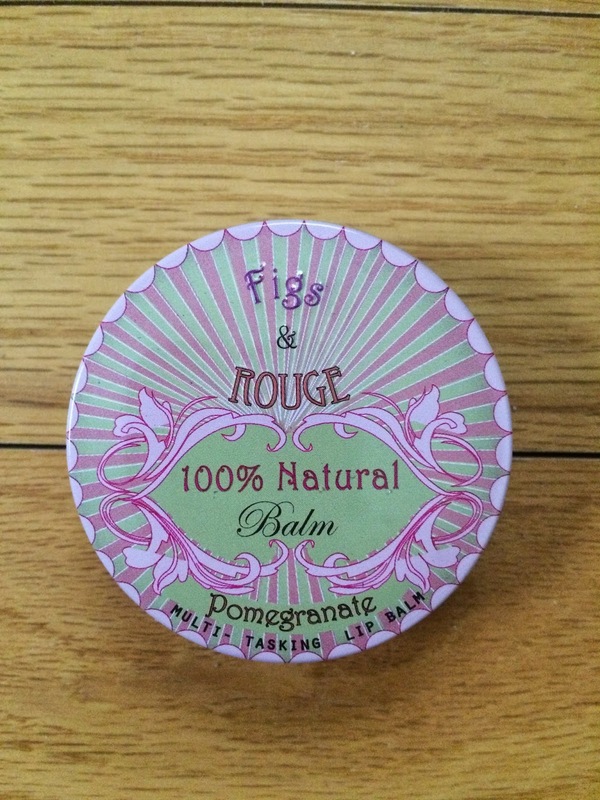 Another item included was Figs & Rouge 100% Natural Lip Balm in Pomegranate. The flavors may vary according to the information card. I'm happy I received pomegranate, because it sounds yummy. I always welcome lip balm, because I go through it like crazy in the winter months. And balm in a tin seems to be more moisturizing than the sticks. And I love the packaging too! 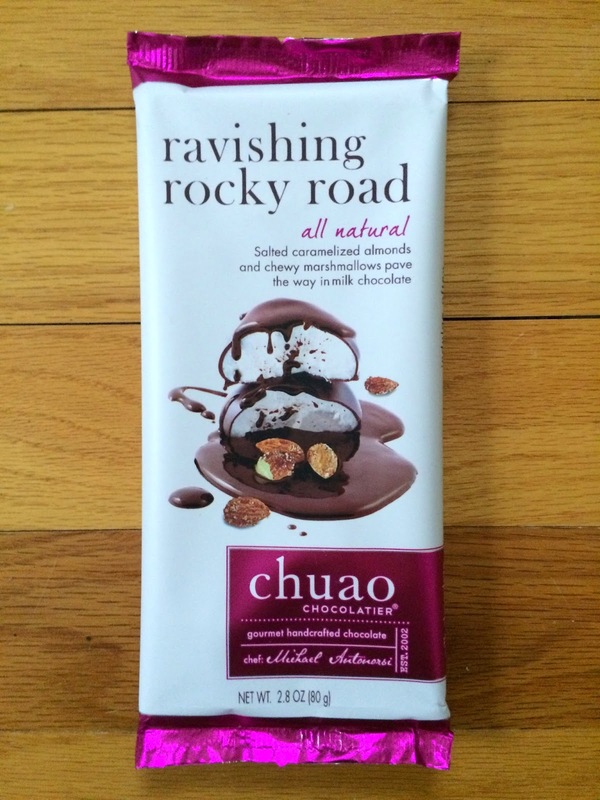 For the treat this month a Chuao Chocolatier Ravishing Rocky Road Bar was included. This looks amazing! It's made with salted, caramelized almonds and fluffy marshmallows. Yummy!!! My 2 year old daughter wanted to open this up right away and eat it, but we're saving it for a treat after dinner! A special extra was also included this month! It was Sally Beauty FingerPaints Nail Color. I received Pink Imagination, but the colors included may vary according to the information card. This is a beautiful light pink with some sparkle to it and I love it! With just one coat, FingerPaints' innovative formula gives you intense colo, durable shine, and a long-lasting finish! My 2 year old saw this in the box and grabbed it and insisted I paint her nails, so I did, and also painted mine. I love light pink nail polish, because it is neutral enough to wear every day for just a hint of color and sparkle. It looked adorable on my 2 year old also. Too bad we both smudged our nails before they were dry. But I am very impressed by the one coat application. It was enough to completely coat the nail flawlessly. Now if only I could stay still long enough to let the nails dry completely. That's something I'll need to work on. 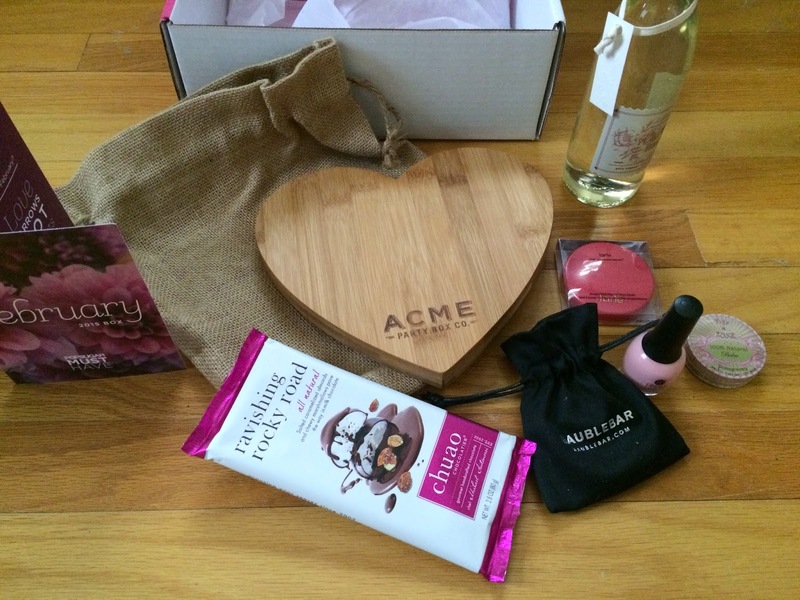 I loved this Popsugar Must Have box! It felt very fitting for the month of February, with all the packaging and items very fitting for Valentine's Day! It felt very girly and the perfect mix of items. I think this may be one of my favorite boxes yet. And I know I'll be using absolutely everything that was included. I can't wait to see what they come up with for March!